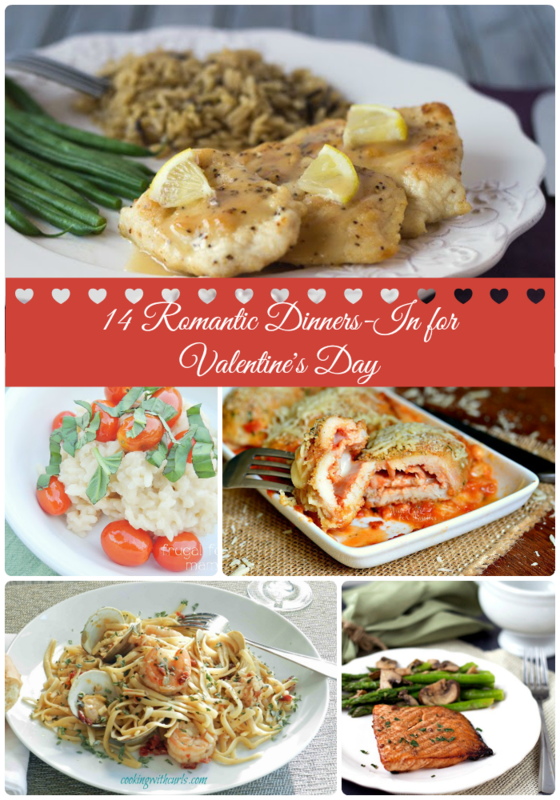 As much as my husband & I have tried making at least two date night-outs happen every month, we haven't always been very successful at that. Mainly because life is life, and it is a known fact that it often gets in the way of even the most well intended plans. Most times it is the unpredictability of my husband's job that undermines even our most well thought out date night plans. Anyone else have a husband who works in sales? Namely selling cars? ;) Then I have a feeling that you ladies can definitely feel me on this one. Quitting time may be 5:00, but not when he is in the midst of a potential new sale and a decent commission is at stake. Does that mean that he & I just scrap our date night plans when he comes home just a little too late to make a dinner out happen? Nope! We like to keep a few ideas ready in our date night-in arsenal. Fill each glass with ice. Pour 1 can of the espresso drink into each glass. Place one large scoop of the Mint Chocolate Breyer's Gelato into each espresso filled glass. 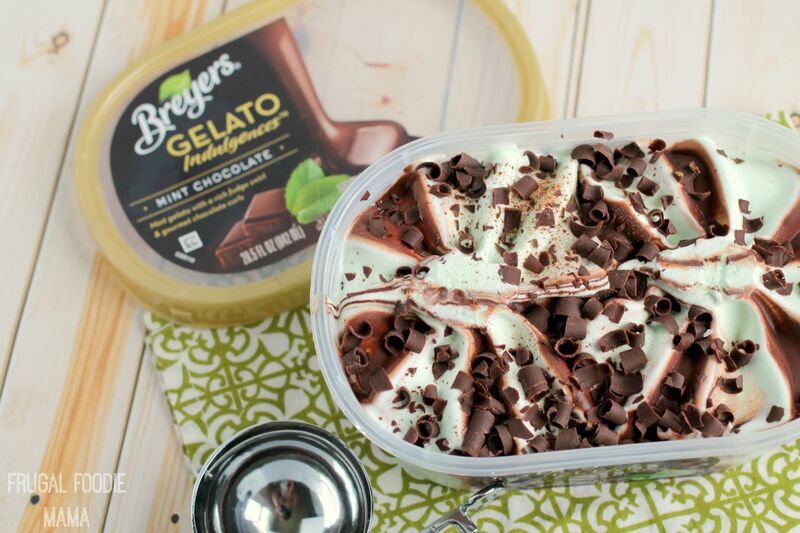 Drizzle with chocolate syrup and garnish with fresh mint, if desired. 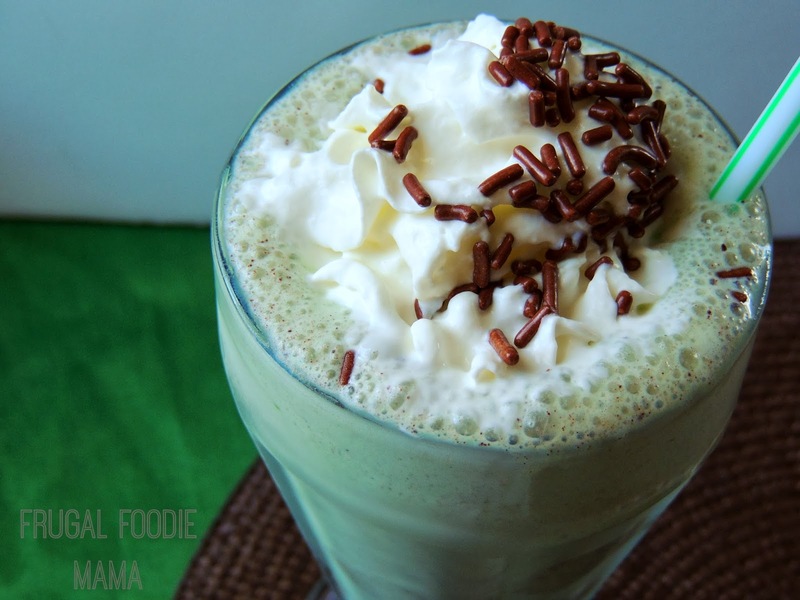 Pop in straws and enjoy! 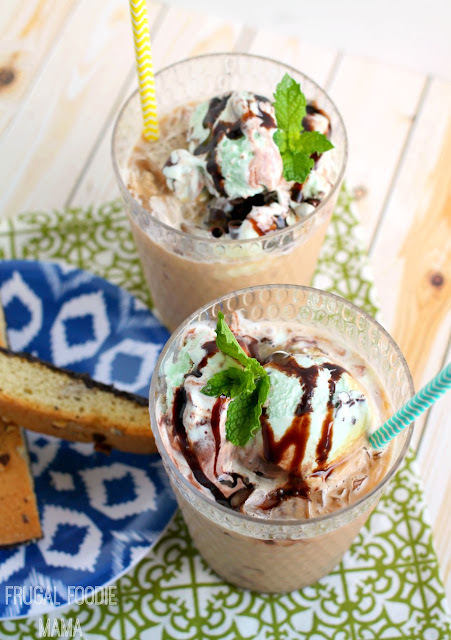 So, let's talk about the term affogato for a sec. Most of my foodie friends out there probably already know what this amazing Italian dessert is. For those of you who are not familiar, a traditional affogato is a scoop of vanilla gelato with a shot of hot espresso poured over top. Pretty much amazingness, folks. 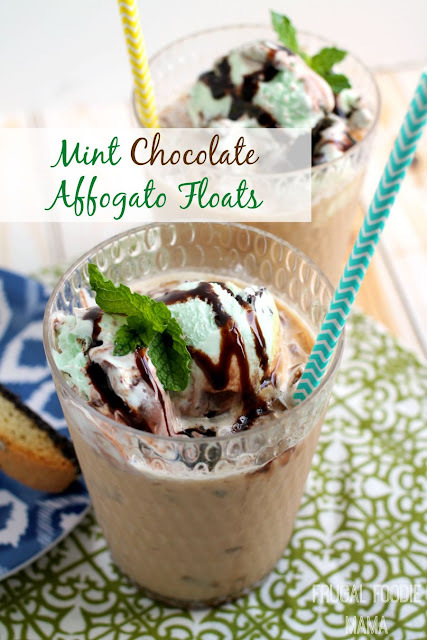 My Mint Chocolate Affogato Floats are a fun, summertime play on this creamy classic dessert. 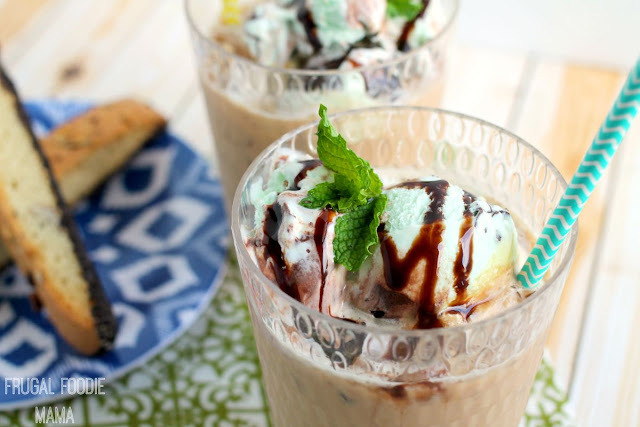 I just loved the Mint Chocolate in these floats, but you could certainly use any of the Breyers Gelato flavors like Vanilla Caramel, Chocolate Caramel, Strawberry Truffle and Cappuccino to make these affogato floats. 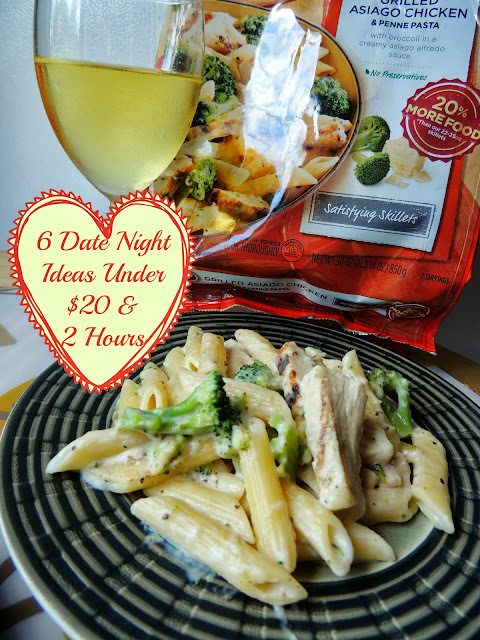 How do you salvage date night when life gets in the way? 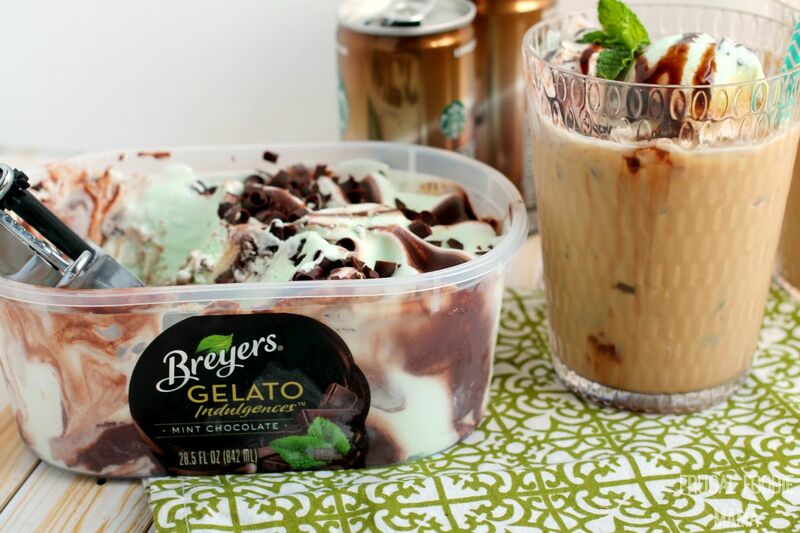 What are some of your favorite summer date night-in ideas?